I‘m trying to get into this whole “running” thing so I can do a proper marathon this fall,1 and one of the features on the mind-control app I’ve downloaded to fully outsource my motivation is a “power song” button. Apparently this is a song you can hit to instantly power yourself up while you are running and you do not want to run any more.2 What I really need is a “put your goddamn shoes on and stop putting it off” song, and a “your shoes are on but you’re still reading a book, so…something is amiss” song, and a “are you seriously taking a nap in your running shoes?” song. Those features have yet to appear, so I’ll have to rely on good old-fashioned shame for now. Anyway, I find this whole power song thing ridiculous,3 but then I was thinking about writing, and often I do have a “mindset” song I listen to a good number of times when I need to reconnect to writing. 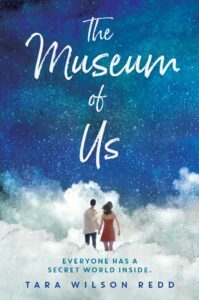 One of the songs I listened to a ridiculous number of times while I was writing The Museum of Us was “To Make You Feel My Love,” specifically the cover by Adele. I don’t even really like Adele, or this song, nor does it really have anything to do with the book. It’s just a song I happened to hear and listen to many, many times while writing, and through the semiotic loading that takes place when you deliberately concatenate an experience in that way, some the book’s “feeling” rubbed off on the song for me, making it a shortcut back into that particular story universe. Anyway, I heard it again recently, and it still works. So here’s the video. …and possibly something yet more insane after. Details TK. Mine is “Shake It Off.” Yep. Owning that. …ridiculous like running, which is a stupid activity done by stupid people who are faster than me and yet apparently don’t sweat. Is it the lululemon? Is lululemon some kind of magical anti-sweating armor? Reveal the secrets of your athleticism, obvious pod-people of Georgetown!